IP address is an identification given to network device, host and server for communicating data. IP stands for internet protocol and it is a type of addressing scheme for identifying the system on the network. IP addresses are unique addresses given to electronic devices that are used for communicating with other computers or devices on the network. The internet community defined 5 IP address classes for accommodating networks of different sizes. Every class of addresses contains bits that are essential for determining the ID of host as well as network ID. Apart from this purpose, they are used for knowing the overall subnet host numbers in a network. The IPV4 address is a private address with 32 bit number that is represented in four decimal numbers. Each decimal consist of 8 bit or octet and every octet is separated with a decimal point in between them. Routing protocols supporting this addressing are V2, RIPV1, OSPF, IGRP and EIGRP. Another version of internet protocol address is IPV6 with 128bits that are represented in eight combinations of four hexa decimal numbers and each one is separated by colon. This is why it is known as 16 bit hexadecimal colon delimited block. Among these classes of IP addresses, classes from A to C are assigned for ordinary addressing purposes on the internet protocol internetworks. The classes E and D are dedicated for some special purposes. The IP addresses belonging to the first class or class A are addresses with several hosts. Using the first octet for the internet protocol, 126 networks are allowed by this class of IP addresses. The first bit of this class is fixed to zero. The remaining bits cover the ID of entire network. The host ID is represented by 24 bits with hosts of about 24,000,000 in one hosts. The address range of this class is between 1.0.0.1 and 126.255.255.254. Medium sized network comes under the class B of IP addresses. The first two bits of the network are set to 10 whereas the 6 bits cover the host identity of 16,384 networks. The number of network in this class begins at 128 and ends at 191. The addresses in this group generally use the third and fourth octet in 16 bits to work as the host ID that permits the operation of 65,000 hosts in a network. This class of IP addresses starts from 128.1.0.1 and ends with 191.255.255.254. The third class IP addresses are used in minor LAN. It also lets a maximum network of about 2,000,000 for the ID. The address range of this class is from 192.0.1.1 to 223.255.254.254. It supports hosts of about 254 on each of two million networks. The class D group of addresses is not used for the host. These IP addresses are used to multi-cast or they can be used for future purposes. The leftmost bits in this class of networks are 1, 1, 1 and 0. The start address of this class is 224.0.0 and the last address of this class is 239.255.255.255. The class E of IP addresses is reserved for research, development and future use. It is not assigned for network hosts. The leftmost bits in this class of networks are 1, 1, 1 and 1. The range of this class starts from 240.0.0.0 and ends with 255.255.255.255.
of IP blocking and firewalls before the network administrator plans to change the IP address of the network is important to avoid problems. Moreover, it is very useful to learn the characteristics and functions of using the IP address translation system or the network address translation system. The network ID finds the TCP and IP hosts which are located on the physical network. Every host on one physical network should get assigned the same ID for communicating with one another. People can follow these guidelines while assigning the network ID. The ID of the network must be different from the internet protocol internetwork. If a person plans on using a direct routed link to the open internet, the ID should be different the internet. If he plans not to connect to the open internet, the ID of local network should be unique to his private internetwork. The ID cannot start with 127 as it is reserved in the class A IP addresses for internet loopback operations. Every bit within the ID cannot be set or fixed to 1 because all 1’s in the ID are reserved to be used as an internet protocol broadcast address. Every bit within the ID cannot be fixed to 0 because all zeroes in the ID are used for denoting a particular host on LAN and they are not routed. The host ID finds the TCP and IP host in a network. 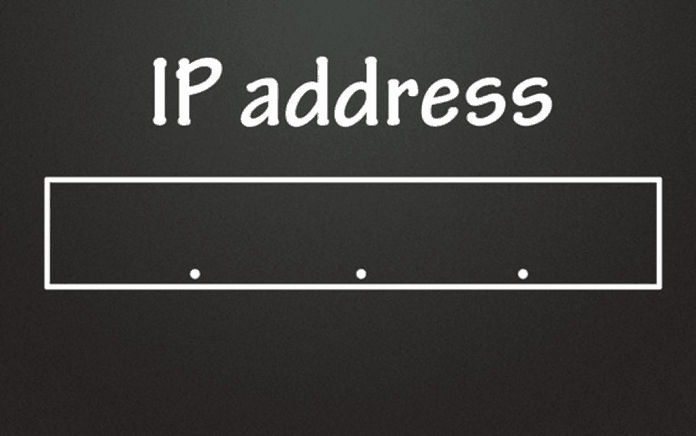 The IP host ID and IP network ID combined together to forms an IP address. Here are the guidelines to be followed by people when they assign a host ID. They should keep in mind that the host ID should be different to the ID of the network. Every bit within the host identity cannot be fixed to 1 because the host ID is used like a broadcast address for sending a packet to every host on the network. Every bit in a host ID cannot be fixed to 0 because the ID is used for denoting the IP network ID.